What is the difference between a member of the church and a Steward? Every Orthodox Christian can be said to be a Member of the Church. Membership in the Orthodox Church begins at baptism (Chrismation for some) and continues throughout our life. We are united with Christ through the sacraments, or mysteries, of the Church and through our faithful offering of our entire selves to Jesus Christ. However, our Archdiocese requires each parish to distinguish between voting members and non-voting members. A voting member is over 18 years of age and turns in a signed stewardship commitment card, committing a portion of time, talent and treasure to the Church. The Archdiocese also requires the voting member to remain current through the year on their commitments. Keep in mind that true membership in the Body of Christ involves living according to His word and within His Church. I donate regularly, why should I be a Steward? All donations and contributions to the Church are greatly appreciated and a blessing to receive. To be a Steward affords each one of us active participation in the direction and future of the Church and her ministries. Only Stewards are eligible to vote on Church matters and serve on the Parish Council. Why must I indicate an amount to pledge? A successful Orthodox Christian Stewardship Program should provide for the entire Parish Ministries and Operating Budget as well as the growth of those ministries. The parish, in time, will not find it necessary to depend on festivals and other events to meet its financial responsibilities. While we strive towards this goal, a pledged amount affords us the ability to plan our future to not only meet our financial obligations but more importantly to ensure the future of our Faith by supporting our current ministries. The Church needs a budget to operate. The budget should be an expression of the vision of the parish – its priorities, concerns and plans for the future - a budget which includes all the ministries of the Church. The future of our parish and of Orthodoxy in the Pacific depends on it. In addition to my Stewardship Pledge, how else can I support the Church? Planned Giving is an excellent way to ensure the future of our Faith and Church. The impact of your gift will be felt for years and generations to come. A charitable gift may also give you substantial current tax benefits as well as estate tax benefits. There are many ways to participate in Planned Giving. For more information see Father Alexander Leong. As one of the most important ministries of our church, Stewardship is not one ministry in and of itself, but many ministries in which the talents and gifts God has given each of us can be shared with our church family and our community. 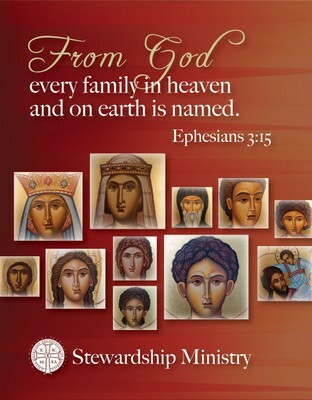 Here in Honolulu and throughout the world, we are a family of Orthodox Christians. Orthodoxy is a faith that has remained loyal to its origin, preserving the doctrines handed down from the Lord and the Apostles neither by adding nor taking anything away. It is our responsibility to keep the traditions of our faith and to continue to provide and maintain a “home” where our “family” as Orthodox Christians can continue to grow and thrive. As we have learned from the story of the Magi: “A rich man is not one who has much, but one who gives much. For what he gives away remains his forever.” The Magi are our first examples of being good Stewards of the Faith. Their gifts represent a sincere desire to seek after God, to communicate with their creator, to express their Love and to discover His will for them. It showed their willingness to overcome any obstacle to reach God. For us today Orthodox Christian Stewardship is a way of life which acknowledges accountability, reverence, and responsibility before God. A primary goal of Stewardship is to promote spiritual growth and strengthen faith. Becoming a Steward begins when we believe in God, to whom we give our love, loyalty and trust and act on those beliefs, as the Magi did. 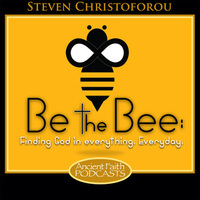 As Stewards, we affirm that every aspect of our lives comes as a gift from Him. Stewardship calls on the faithful to cheerfully offer back to God a portion of the gifts with which they have been blessed. An Orthodox Christian Steward is an active participant in the life of the Church. The parish encourages all who accept the Orthodox Faith to become practicing Stewards. Each year the Steward is expected to carefully review his or her personal circumstances and make a commitment of time, talent, and treasure to support the Parish and her Ministries. An effective stewardship ministry is not a single event or project. Rather, it is going out to our people wherever they are in their walk with Christ, listening to their concerns, helping them to realize their importance as branches of the True Vine and encouraging them to offer their gifts in His service. Unless we meet with people personally, sincerely listen to their ideas and concerns, and share a vision for the future of the parish; our efforts will not reach their full potential. Stewardship has been defined as the call of the faithful to share willingly the gifts that God has bestowed on them, including sharing these gifts for God’s work. Stewardship is devotion and service to God and His Church as individuals, as families, as a Parish, as a Metropolis, as a National Church, and as the Church Universal. Stewardship is our active commitment to use ALL our time, talent and treasure for the benefit of humankind in grateful acknowledgement of Christ’s redeeming love. Stewardship is caring for the needs of others and offering one's self to God as He offered Himself to us. Stewardship is what a person does after saying "I believe..." as proof of that belief. Stewardship is about the joy of giving freely; it is a way that helps shape our world and ourselves so we can experience God’s grace, love and communion. Parishes with successful Orthodox Christian Stewardship Programs have found that incredible support is unleashed from Stewards who unselfishly and joyfully offer their time, talent and treasures, which in turn enhances the spirituality and ministry of the parish. 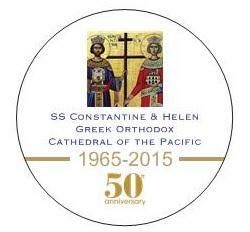 This year is a very special year for Saints Constantine and Helen Greek Orthodox Cathedral of the Pacific as we are celebrating 50 years of Orthodoxy in Hawaii. This is a tremendous time in the history of our church. It is a time to thank God for allowing us to grow here in these islands, to be a beacon of Orthodoxy in the Pacific and to celebrate moving forward into the next 50 years. Each month the church will be hosting an event to mark this auspicious occasion. Following the service each Sunday, you will have the opportunity to speak with Presbytera Nicole upstairs in the Fellowship Hall, to learn more about the many ministries available to you where you can give of your talents and time. Please join us upstairs for a light luncheon at which time you can pick up your Stewardship commitment cards and envelopes and find out more about our many ministry opportunities. We encourage each and everyone to “see the vision” of a thriving Orthodox presence in our community and in our parish and in our islands. 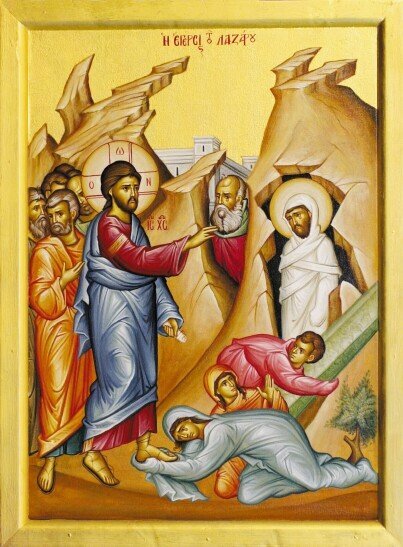 Together we can continue to share and spread Orthodoxy. You may also make your pledge payments through the church’s website. For those keen on this process the homepage of the church’s website features a link on the left hand side entitled “Support Our Ministry”; click on it and follow the directions. Be advised that there is a service fee that you may incur or the church can absorb. Also, be sure to check out the church’s YouTube, Facebook, and Twitter sites to find news and updates about the church and community as well.